So, here we are. Some 7,000 or more Central Americans are “walking” up to the U.S. border to demand entry and a piece of the welfare state pie. The U.S. should apologize to them for being so fascist and cruel, said an Objectivist intellectual, Harry Binswanger, in a Forbes article. Oh, yes. The Hondurans are going to show us how it’s done. They’re going to boost the economy 500% with their advanced job skills. They’re going to discover the cures for cancer and the common cold. They’re going to send a rover to Pluto, and shame the accomplishments of the Mars rovers and the Huygens Titan probe and those snotty Japanese who’ve managed to land probes on a mere asteroid! They’ve got the ambition and the expertise and the unmatched talent, and the U.S. would benefit if only they’d let the Hondurans, and Guatemalans, Salvadorans, and Mexicans come in and not ask them any awkward questions or establish criteria! They can soak up the housing market, and buy houses and estates in Newport Beach and Laguna. To call them parasites and leeches is insulting, as insulting as calling Muslim women “brood mares.” As offensive as calling Muslim men “dead heads.” And it’s “racist” to point out that Somali Muslim women are uniformly fat and ugly and a visual blot on the landscape. Satire aside: What have the closely packed migrants who are falling off of packed trucks or collapsing from exhaustion during the trek to offer the U.S.? Not much – except to become a greater weight on the welfare system, sustained also by stipends from their various Soros and NGO beneficaries. It’s the powers behind the alleged “caravan” that stand to gain the most. 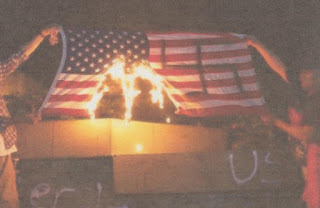 For one, George Soros, who through his multiple connections or subsidies of “humanitarian” charities, aided and encouraged by the State Department, in turn fund every collectivist cause imaginable, including “caravans” of the poverty stricken migrants, “yearning to be free.” Or taken care of by the state and taxpayers and the damned gringos. Soros and the Dems intend to do to America what what’s been done to Europe: cripple it and dissolve it. 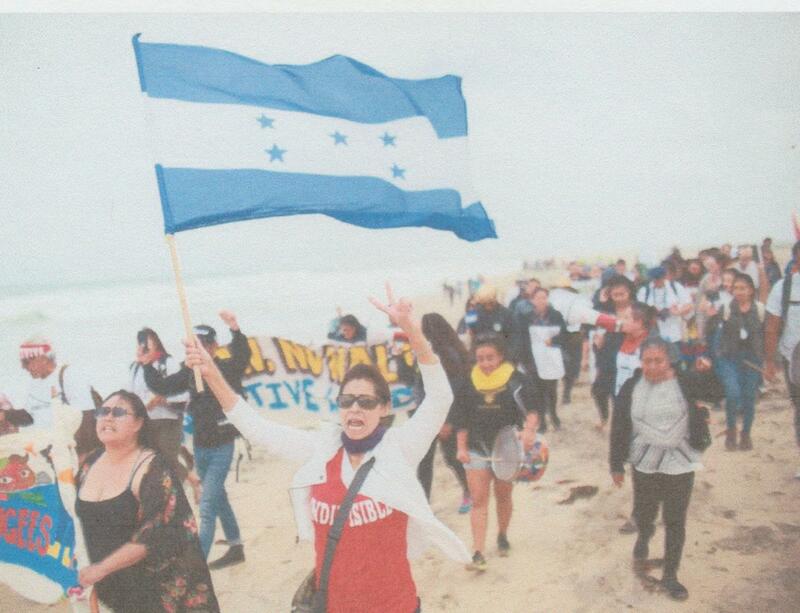 Are they coming to the U.S. to seek asylum? No. They’re looking for jobs. They say. They may be telling the truth. Still, they are ignorant pawns of the elitists who seek to bring the U.S. down to the level of any Islamized country in Europe, for example, the U.K. So, the U.K. Is being inundated with hostile Muslims. The U.S. has been “settled” or “colonized” by hostile Muslims, and it is intended that it will be inundated by equally ignorant and hostile Central Americans. It’s Obama “transforming” our country. If that takes “caravans” or invasion armies, so be it. There will be “collateral damage,” too. "Now, Mizzou, I just have two words for you tonight: five days. Five days. After decades of broken politics in Washington, and eight years of failed policies from George W. Bush, and 21 months of a campaign that's taken us from the rocky coast of Maine to the sunshine of California, we are five days away from fundamentally transforming the United States of America. This is all Obama’s usual yadda yadda. He’s never been interested in “creating” anything except federally subsidized boondoggles, such as Solyndra. By “transform” he means changing America into a nation of submissive, non-questioning, obedient serfs who abide by the social justice warrior’s bidding. Harry needs a pertinent FACT pointed out to him so I hope he's reading this. Look at the damn calendar, Harry. The year is 2018. Not 1618, 1718, 1818, not even 1918. In those years, when dirt-poor immigrants such as my grandparents from Ireland and Newfoundland came here, they expected to WORK and make their lives better for themselves and their families and descendants. (Never mind my grandfathers, my grandMOTHERS worked outside the home all their adult lives.) They EXPECTED that because back then the United States of America was not a WELFARE STATE in which their every need would be taken care of at TAXPAYERS' EXPENSE. But this is 2018, and that is exactly what this horde of freeloaders CAN and DO expect. 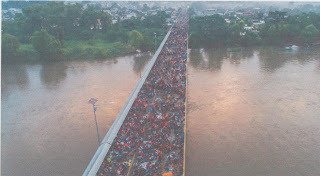 (That is WHY the Democrats are actively promoting this "caravan" invasion horde, for votes and the growth of socialism. )We do not OWE them anything, least of all an apology. They owe US, if they are sincere about wanting to come here and be productive, the common courtesy of applying at a US consulate. This is not the 19th century when most of this country was still a wilderness open to settlement. Today everything is either privately owned or "owned" by the government, which means it is maintained by taxes. Get your nose out of "Atlas" and think about that for a moment. If you still harbor the fantasy that we "owe" these people everything, I suggest you take the "Front Door Challenge": Hire some illegal aliens to come to your home and remove the front door. Invite them in to eat your food, sleep on your furniture, borrow your car, spend all day watching your tv and getting you to pay for it all. Because that is what you are asking other people to do. That's a good point. Open immigration Objectivists write as if its Atlas Shrugged in the 50s. Well things were bad in the 50s, but there was no identity politics, affirmative action, multiculturalism, philosophers claiming that a man could turn into a woman, mass third world immigration, Islamic terrorism, the Civil Rights Act of 1964, etc. So the "individualism vs. collectivism" theme of AS, while still relevant, is not the entire picture.